Most people think of Feldco for our high-quality, energy efficient windows, but we also offer a huge selection of entry, storm and patio doors. Many of our exterior doors are energy star rated for energy efficiency so that you not only are buying an attractive door but also one that saves you money on heating and cooling bills. It’s important for you to know that all of our doors are built for the Midwestern climate and can handle weather extremes such as those in Milwaukee. 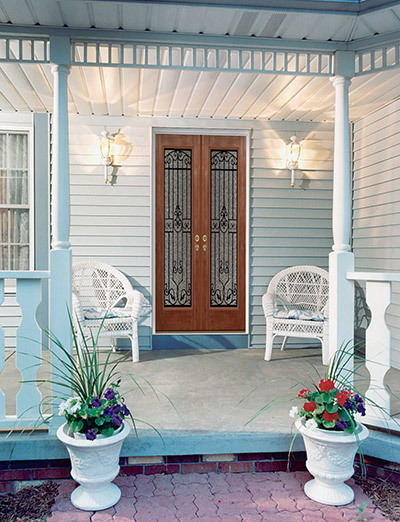 Get your door replacement project started today with the door experts at Feldco. 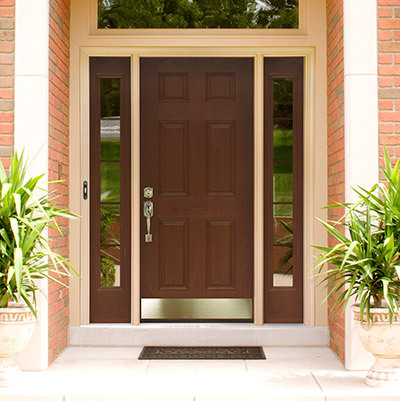 We offer everything from front doors to patio doors for your home. All of our doors offer complete customization without sacrificing affordability. Choose from dozens of colors, hardware options, glass styles and more. 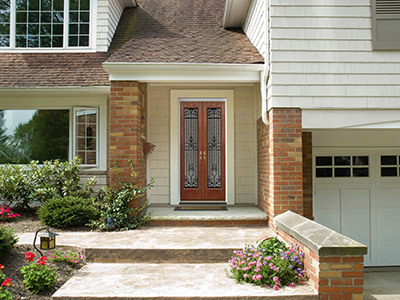 We offer several styles of entry or front doors with many different options so that you can create the perfect entry door for your home in Milwaukee. The styles range from all-steel construction models to fiberglass entry doors with unique finishes like wood-grain and more. 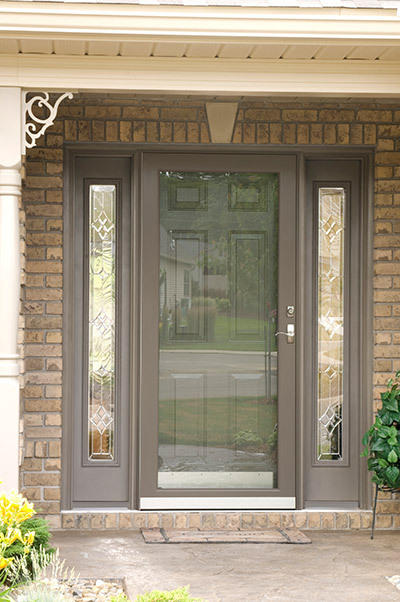 beautiful and energy-efficient storm door. Choose from either sliding patio doors or hinged patio doors in either 2 or 3 door configurations, customized to suit the look and feel of your home. 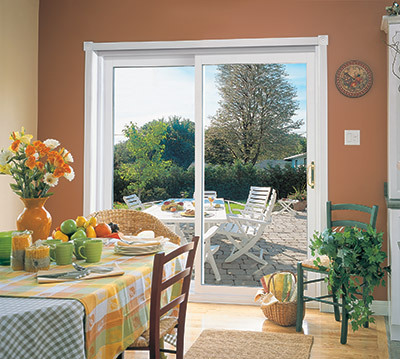 Our french patio doors are available in several different finishes including solid colors as well as wood grain finishes for a unique look. There’s also different configuration options and style options like grids and door hardware. Isn’t it time to ditch your old sliding patio door? Feldco offers sliding patio doors that operate smoothly, offer several safety features and locks and save you money on your heating and cooling bills. A professional installation is almost more important than the door itself. The installation team will make sure that your door fits snugly, operates smoothly and will completely seal out drafts for optimal energy efficiency. They’ll also clean up after the installation and show you how your new door operates. You can be at ease knowing that the installers come with years of experience in door installation and customer satisfaction. We wouldn’t have it any other way. We offer a total package including your new door and a professional installation that will ensure that your door will operate at it’s peak for many years. 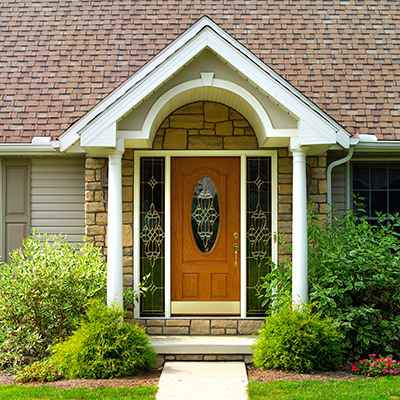 Everything from your initial door replacement project quote to final installation will be run smoothly and efficiently. Over 350,000 customers have trusted Feldco with their exterior home improvement projects. 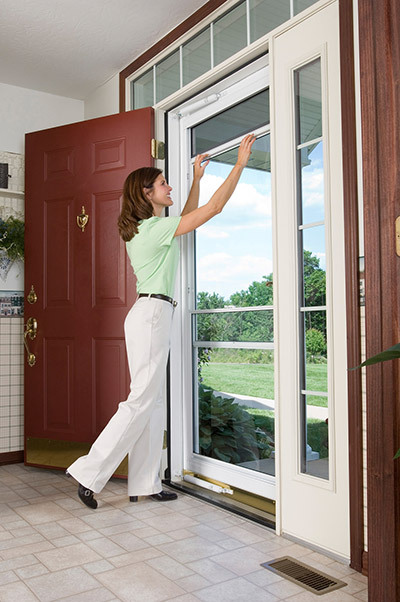 We hope to earn your trust with your door replacement project as well.